The Native Indians can't be wrong about a Giant hairy Man living in the Mountains of Washington, BC and the Pacific North West. The Native Indians call him the Boss of the Mountains and pay him great respect for Sasquatch has titanic strength and has been known to devour Humans. My take on Bigfoot is that the Big Hairy Man Beast is real, Bigfoot though is not a Primate like what many people believe it is. Sasquatch is a Chimera a Hybred, a cross between Grizzly Bear and Human so you can imagine the size of it and the Strength of it. It was designed by the Atlantians 800 000 years ago. The Atlantians weren't very nice people and during their Past Glory they Hybredized many animals with humans and Sasquatch was one of those creatures and to this day these Creatures are out there hunting and gathering but they are extremely intelligent they know that man is the danger and they stay away from populated areas and hunt at night for protection. They are incredible strong and they can tear a man apart like a French Cruller Donut in no time and eat him just as fast. These creatures are extremely nasty tempered and extremely fast, they can run like an Olympian Athlete and just as fast if not even faster and make there 900 Pound frame look like it's effortless. Behold the Mighty Sasquatch coming to neighboorhood near you!. 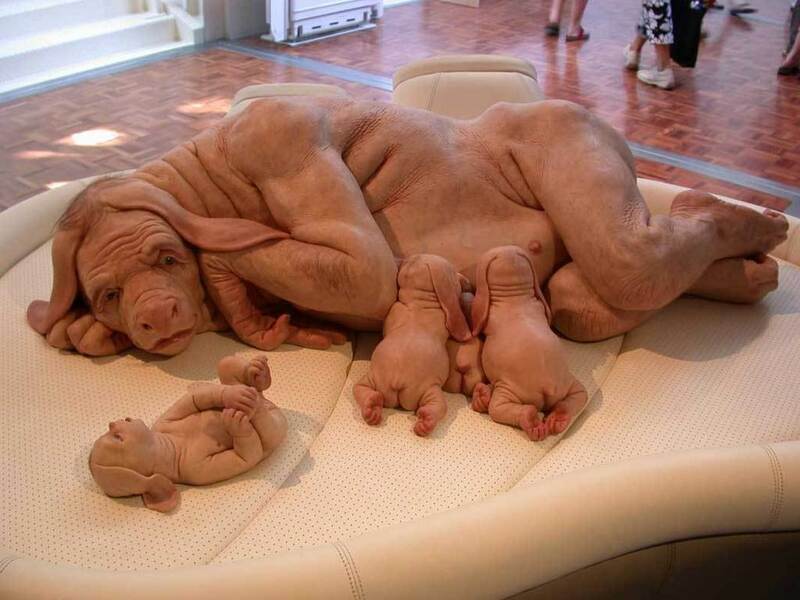 Oddly enough, while looking for more man/bear chimera information, as our team found a genomics site, thinkgene.com, that claims we don't need no stinkin' alien technology to create man-bear-pig chimeras (see photo above). Is this Chimera theory going to gain momentum? Fans, you know how we feel, we think Bigfoot is simply an undiscovered primate, but we love any Bigfoot theories, ANY Bigfoot theory. And this is one of the more interesting ones.